Samsung has created specific box markings and an IMEI lookup tool so you can tell if you have a non-explosive model. Samsung is offering detailed plans for how you’ll be able to tell the difference between a faulty Note7 or one that’s safe to use. 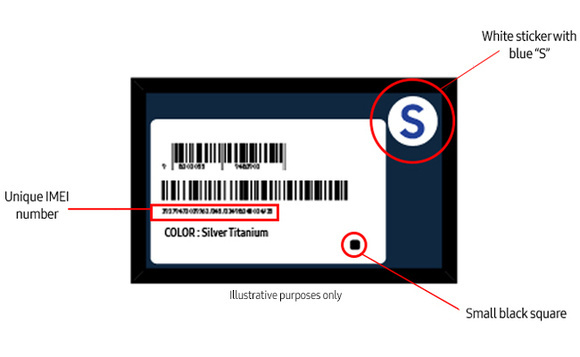 The company says the new barcode features a white sticker with a large, blue “S” at the top right corner and a small, black square on the bottom. If your Note7 box has the big blue "S", it should be safe. 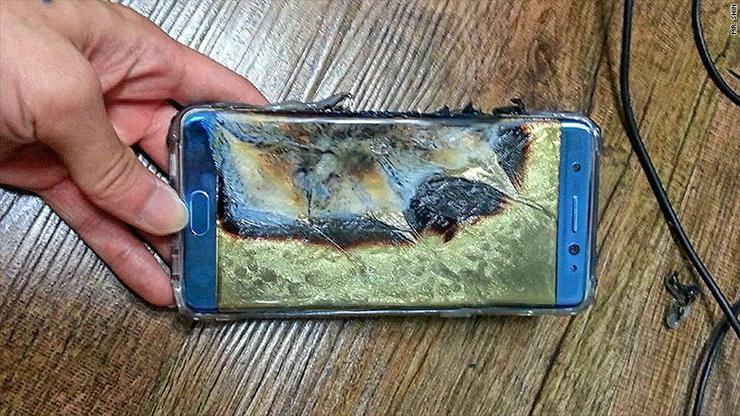 Look for the new label on the safe versions of the Galaxy Note7. A Samsung recall site also has a tool to lookup a phone’s IMEI number so you can certify that a new phone is safe. You probably don’t need to double check if you’ve been an issued an official recall by Samsung, but this will be important later on as people begin to resell and trade around devices. What's more, Samsung has confirmed to ZDNet that the new, safe Note7 units will feature a green battery icon in the status bar, instead of the usual white. So it’s possible there could be some massive fire sale later on of refurbished models, but we haven’t had any indication of how that will turn out, or how you'll be able to tell if a refurbished phone is safe.